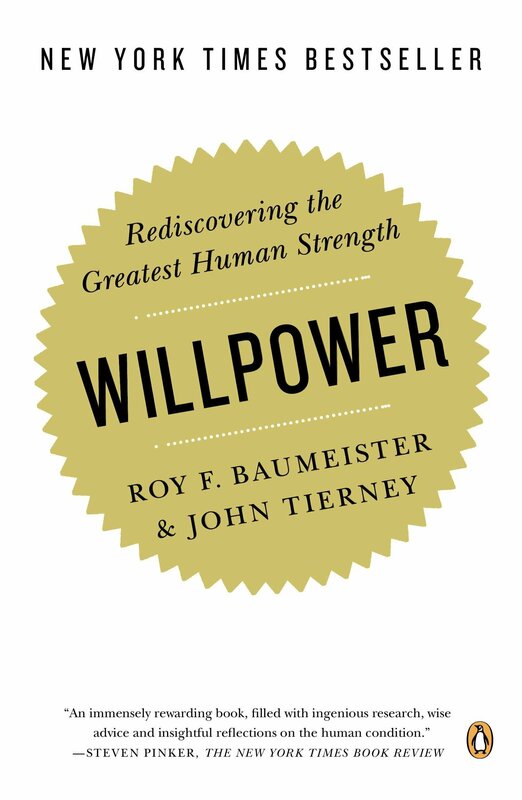 Book by R. Baumeister and J. Tirerney about their research on willpower. Explore what is willpower and how to best use it. Gives good advice on the counterintuitive nature of it. Very easy and enjoyable to read. Feels a bit like light science at times i.e. easy conclusions from small papers. There is only one reservoir for all willpower, not divided by task. Hence, progress in any willpower type will help with the other types. Exercising willpower by refraining an urge or forcing a unnatural behavior deplete willpower. Food intake replenish willpower. More effective with slow release food such as carbs. Habits do not use willpower. Zeigarnik effect: unfinished tasks stays in mind, are annoying and consume willpower. Hence not making decision has a high price and can be caused by strong loss aversion of humans. Theory is that self-awareness has evolved in order to help self-regulation e.g. When looking in mirror one compares himself to standard he established. Hot and Cold Empathy: rules set when at rest (cold) are impossible to keep when confronted to risk (hot). The way to go through this is to use very little willpower when cold and exercise willpower when hot. Self esteem does not augment skills as was believed in the 80s. It is in fact the contrary i.e. skill create good self-esteem. The belief is still present in modern thinking e.g. Lady Gaga shouting you are all superstars. Self-esteem gives initiative and happiness boost but no benefit in skill and self-control. Catch 22: willpower needed to not eat, eating needed to have willpower. Created by having a single glowing line hence bad to have a binary objective. Recommendation to have many lines not to cross. Parkinson Law: time taken by task extend to the whole time allocated for it. Be offensive, start by being aware of symptoms. Beware of resource fallacy: in the future new resource will magically appear. Reward often when small steps attained. If action take less than two minutes, do it now!